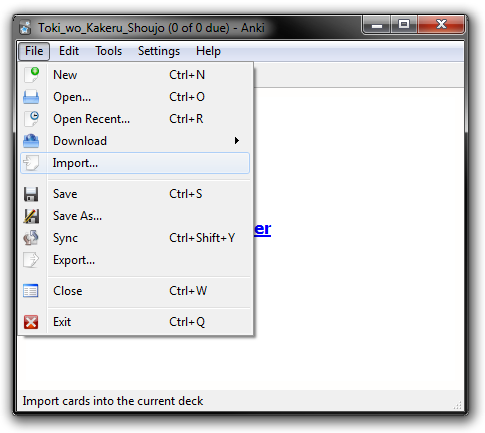 This software works like electronic flash cards, in additions, Audio, images can be shown with cards. 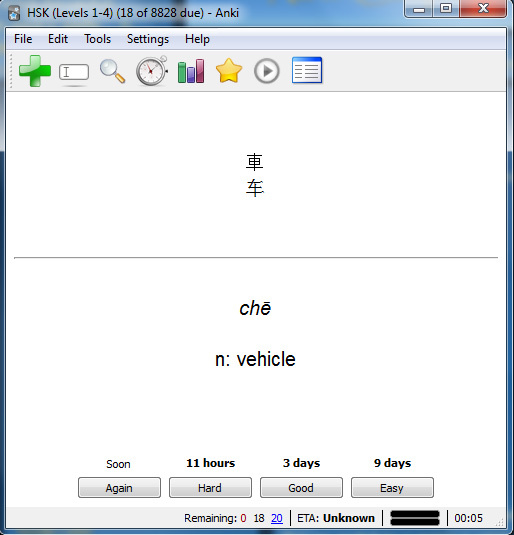 The best element of Anki is that it distributes cards automatically according to the learners’ learning progress. some database even provide native speaker’s audio. such as Mandarin with hanzi, vocabulary, pinyin and sentences etc. What is anki?Anki is a program which makes remembering things easy. Because it is a lot more efficient than traditional study methods, you can either greatly decrease your time spent studying, or greatly increase the amount you learn.Anyone who needs to remember things in their daily life can benefit from Anki. Since it is content-agnostic and supports images, audio, videos and scientific markup (via LaTeX), the possibilities are endless. I created Cantonese flash cards on Functional Cantonese conversation with my audio and Cantonese randomization. It is very easy and worth doing, over 300 downloaded that collections in a year.